Four shortlisted entrepreneurs will present a business pitch live as part of the awards show on Thursday, May 2, and guests attending the event will vote for the best presentation. Want to be a finalist? Send a one minute video pitch via WhatsApp to 07768 467744 by 5pm Friday, April 5. The overall winner receives a prize package including £4,000 to further invest in their business as well as a full place on Ulster Bank's Accelerator programme based at its new Hub housed in the bank's Belfast headquarters. John Ferris, Ulster Bank's Entrepreneur Development Manager, outlines the elevator pitch concept and also offers some tips to small businesses wanting to secure a place on stage during the gala awards evening. "Pitching is a vital tool for any business or entrepreneur. As part of our support for the Business Awards we are giving people the chance to showcase their business in a succinct and persuasive way to help generate additional cash and support to take their company to the next level." Businesses are invited to send their initial one-minute video pitch via WhatsApp to 07768 467744 by 5pm on Friday, April 5. The Ulster Bank Accelerator team will judge the video entries and shortlist four finalists who will each present a one-minute pitch. The guest audience will collectively select the ultimate winner at the touch of a button. Ahead of the video pitch closing date of April 5, John provides some tips to help with both video pitches and live on-stage performances. "Pitching is just like a movie trailer. You create a story to engage people, whet their appetite and leave them wanting much more. Don't over-complicate your pitch and remember you need buy-in from your audience/investors within the first 10 or 12 seconds. It's similar to a newspaper article or a book where the first couple of paragraphs need to capture people's imagination. Your opener could be a statistic or an unusual fact which will help make a connection with your audience. "To help craft your pitch, write it down first. Depending on how quickly you talk, a one-minute pitch will be somewhere between 100-150 words. Consider what will make a consumer buy your product or service and what differentiates it from everything else on the market. Also, why are you the person to deliver. "People invest in people as well as products and the humanity of a pitch is very important. The judges or the guests at the Business Awards will want to connect with and be inspired by the story behind the business. "Investors in your enterprise will also want to be able to build on good personal and business relationships as they look to the future. "Ensure that your idea is innovative, be clear about why your idea is better and how and why you stand out from your competitors. Include some storytelling with some real-life examples in your 'mini-screenplay'. If appropriate, add visuals or props and present in layman's terms. "When it comes to remembering your script, go with what works for you. Some people prefer to memorise word for word and others have key points they want to cover and go with it. "It's an old saying, but practice definitely makes perfect. Practice out loud by yourself, in the car, in front of the mirror and then with friends or family as your 'audience'. If they don't get it the judges certainly won't. Finally, be relaxed, be yourself, show confidence - if you don't believe in your business, why would anyone else? 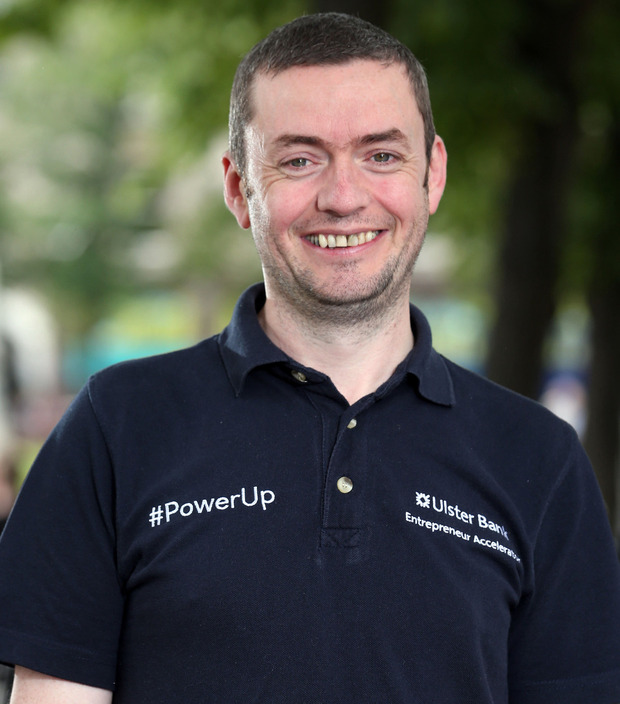 "Through the Ulster Bank Accelerator programme, we've helped hundreds of businesses go from having no pitch at all to winning pitching awards, securing investment and gaining substantial contracts. "To help anyone who wants to enter our Business Awards pitch initiative we've set up a Belfast Telegraph Pitch Masterclass on Friday, March 22, 9.30am to 11am at our Entrepreneur Hub, 1st Floor, Ulster Bank, Donegall Square East. It's free and to sign up go to https://www.eventbrite.co.uk/e/belfast-telegraph-pitch-masterclass-tickets-57498324035." The gala awards dinner takes place on Thursday, May 2, at the Crowne Plaza Hotel, Shaw's Bridge, Belfast. To book online, visit www.belfast telegraph.co.uk/business awards/tickets. Business Awards entry closing date: Thursday, March 21, noon. Belfast Telegraph Pitch Masterclass: Friday, March 22, 9.30am to 11am https://www.eventbrite.co.uk/e/belfast-telegraph-pitch-masterclass-tickets-57498324035. One minute video pitch deadline: Friday, April 5, 5pm, send via WhatsApp to 07768 467744.